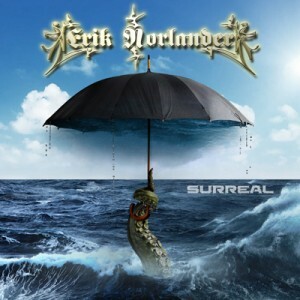 Share the post "Interview: ERIK NORLANDER"
Could you take us through the songs on your new album ‘Surreal’? E.g. stories behind the songs, recording process etc. [Erik] The song, “The Galaxy Collectors,” was really the catalyst for the Surreal album. I wrote it in 2006 right after finishing the Rocket Scientists — Revolution Road album, and I have been waiting for just the right album project on which to release it. I considered recording it with Rocket Scientists, and we even played it a bit with Asia Featuring John Payne. But it just wasn’t quite right for those projects. Then in 2009, I recorded The Galactic Collective, which of course was also re-recordings of previous compositions. So it didn’t really fit on that album either! So here we are 10 years later, and now it’s perfect time. “The Party’s Overture” is based on some line-progression chordal movements that are somewhat based in the classical church chorale tradition, for example, like Tomas Albinoni’s “Adagio for Strings.” The fast piano break of the verse section was the first part of the song to come together. I originally thought of this as a slower, kind of European-sounding section that could even be played on accordion. Something that evokes a rainy afternoon on a Paris street or a crisp fall day in St. Petersburg. But as the arrangement came together, I pushed it more into a “prog rock” direction, I suppose, with the more dynamic and aerobic piano performance. I actually recorded about half of this album on solo piano in 2014. I had a day off from another project while on a tour stop in North Carolina, so I booked a day at a beautiful studio owned by a friend there. He has a fantastic grand piano, and it’s a really nice environment. I used the time to explore some ideas on the piano and try some different arrangement approaches. That actual became the basis for a lot of the material on Surreal. Then of course I recorded the songs a year later with the full band. “Suitcase and Umbrella” actually started out as a requiem piece, a very sad, mournful composition. But it evolved a bit over time into more of the surreal space ballad that it is on the album. I think it fits in my canon well alongside previous compositions like “Sky Full of Stars” and “After the Revolution.” Alastair Greene played a couple of beautiful solos on the song. We were nearly done with our session one day, and he said, “Well, what ELSE do you have?” I played him “Suitcase and Umbrella” and asked him to try some soloing on it. He connected with the song immediately, and what is on the album is the result of really just a couple of takes. The whole thing came together quite naturally and organically. “Unearthly” is another piece that I have been playing around with for many years. It is based on the “Spanish Gypsy” scale, so it has elements of both Latin and Middle Eastern music. We played this song and two others from the album on my 2015 tour in Mexico before recording the Surreal album, so all of us got to really work out the feel of the song. It’s different when you play a song live on stage in front of audience vs. just in a rehearsal room or even in an isolated recording studio. Your approach changes a bit. That was the beauty of The Galactic Collective album, too. I had played those songs live for so many years, so they had evolved into something deeper and more dimensional than just simple studio recordings. Greg Ellis really brings something special to “Unearthly” with his darbouka hand drumming. This combined with Nick LePar’s traditional drum kit parts works so well. “Surreal” is the only vocal song on the album, and of course it features my wife, the amazing Lana Lane. As I wrote in the album liner notes, if you’re going to have just one vocal song on the album, the vocal has to be great, right? I had written a couple of similar songs to this one for both Rocket Scientists and Lana’s albums. For Rocket Scientists, it was “The Lost Years” on the Refuel album. For Lana, it was “In Exile” on her El Dorado Hotel album. The idea is that you have a fairly simple piano and vocal start to the song, then it grows into this orchestral monster as it develops, with a faster, uptempo kinetic bridge section. Then it winds back down to the softer, more intimate verse feel again at the end before a long ride out to the finish. I hesitate to call it a “template” because every song is unique. But it is definitely a form that I really enjoy, and I hope to explore more in the future. Jeff Kollman from the Asia Featuring John Payne band does excellent guitar work on this one. “El Gran Final” is named in Spanish as a tribute to all of my great friends in Baja, California, especially in Mexicali where I have played on 5 different tours now. This piece is the grand finale of the album, of course, and it reprises the themes from the album over the great rock shuffle feel anchored by bassist, Mark Matthews. Mark is a quiet guy who is absolutely full of music up to the top of his head. Over the 7 years that we’ve played together, we have really developed a musical rapport that makes groove construction very easy. I can say things like “add a little more bounce to this section,” and he will know exactly what to do. Often the bass player is the secret weapon of a great band, and I learned early on in my career to take the bass role in the band very seriously! With the writing and recording of ‘Surreal’ do the other musicians have a chance to adapt the music based on the overall song concept you present to them? [Erik] With the performances, yes, always. I provide written charts of all the songs where I mark out each section, the chords, the figures and any time signature and tempo changes. Often I will suggest specific drum fills, specific bass fills and even rhythm guitar riffs. But every musician always has the opportunity to bring their own ideas, personality and experience to the music. Usually the musicians I work with take my ideas and turn them into something much better. That’s the real spirit of collaboration. For someone new to your music which album/piece of music would you recommend they listen to and why? [Erik] I always am the most attached to the last thing I have recorded, so I would of course recommend Surreal. However, even beyond the nearness of it, I think Surreal really sums up the best part of my musical vision, both as a composer and as a keyboardist. After so many years, so many albums and so many tours, I have learned a lot, and I think I am really at my best now. So many musicians do their best work in their 20s, and then it goes downhill from there. For me, I think it is the opposite. The older I get, the more skilled I become. I think it has to do with a lifetime commitment to the craft and not just a quick stab at stardom or fame. I always give the same intensity of performance whether it is for 50 people or 5,000. Are you still involved in the John Payne version of Asia? If so, is there any news of any new songs? [Erik] Unfortunately that band no longer exists. We played our last show in Florida in 2013. John started a Las Vegas show, and it really took his focus away from the band and original music. I tried my best to save the band, but it was beyond my power. I really put everything I could muster into that project, and it was pretty devastating to me when it became clear that it was over. Then when the Las Vegas show ended for John, I guess he went on to do some other similar cover-based work. He still plays a few occasional shows under the name “Asia Featuring John Payne,” but it is a different thing that what we were doing in 2007-2013. I guess it’s probably more of a nostalgia show now than anything else. I haven’t seen it. Regardless, John is a very talented guy, and I wish him only the best in whatever he chooses to do. How did you become involved with the Last In Line? Do you have to adapt your playing style much for a more straight ahead rock/metal band? [Erik] I have known drummer Vinny Appice for a long time, and he and I have recorded and toured together a lot. Vinny is on a few of the Lana Lane albums and also on my Music Machine album from way back in 2003. I got to know vocalist Andrew Freeman through friends. Andrew played with Vinny in George Lynch’s band, replacing vocalist Kelly Keeling who I also worked with quite a bit. George and Vinny both played on Lana’s Gemini album in 2006. So you see the big spiraling web there where everything is somehow connected! Vivian Campbell is a incredible guitarist, and it has been great to play with him and get to know him. It did take me a little while to find my place in the band, musically speaking. When you think of the classic Dio music, keyboards are certainly not what comes to mind. So I have come up with an approach that a bit Jon Lord-like with a lot of overdriven Hammond organ and some guitar-like synth sounds to work in concert with what Vivian plays. I think it really works well. You’ll have to see us live and tell me! And then of course there are few moments — intros in particular — where I can bring out my usual symphonic style. [Erik] I’ve talked about my early influences so many times. Nowadays, my musical heroes are the people I work with. From my solo band with Mark Matthews, Nick LePar, Greg Ellis and Alastair Greene to Rocket Scientists with Mark McCrite and Don Schiff, to the incredible Lana Lane, to the Last in Line band and other recent collaborations, that’s where I draw my inspiration and continue to learn and grow with every album and every gig. Is streaming good to get your music known or do you think it is it a case of too much music chasing a finite audience? [Erik] If the international court in The Hague suddenly said that streaming is now illegal and must cease immediately, I would be delighted. I think streaming is a scam that is lining the pockets of a small group of people at the expense of the artists who create the product from which they are profiting. For the artist, I see no benefit to streaming at all. What have been the live highlights to date? [Erik] I have found myself playing in the most unlikely places. I wrote a song in 1999 for my Into the Sunset album called “Rome is Burning.” Then in 2001, just two years later, I found myself actually playing the song in Rome! A few years later I played an amazing concert in St. Petersburg, Russia at the end of a long European tour. When we started the tour, we had no idea that it would conclude in Russia! Then a couple of years after that, I played some shows in The Canary Islands which are technically in Africa by their geography. I’ve of course been to Japan many times as well. And my Mexico tours have also become more frequent in recent years. So many amazing places, so many wonderful people. Who knows where this will lead next! [Erik] Thanks for joining me on this fantastic voyage. Long may we sail together! This entry was posted in All Posts, INTERVIEWS, Interviews/10 Questions, Interviews/Rock Stars and tagged Asia, Dio, Erik Norlander, instrumental, interview, John Payne, Lana Lane, Last In Line, prog, progressive, rock, Surreal. Bookmark the permalink.